Dentaid’s mobile dental unit travels the country offering free dental treatment for the most vulnerable people in our society. Clinics take place in shelters, hostels and centres for people who are street homeless or temporarily housed who often find it difficult to access dental care. Dentaid volunteers work with support workers and our charity partners to build a rapport with our patients. Once they come aboard the mobile dental unit they are offered dental screening, toothbrushing and dietry advice and a full range of dental treatments. 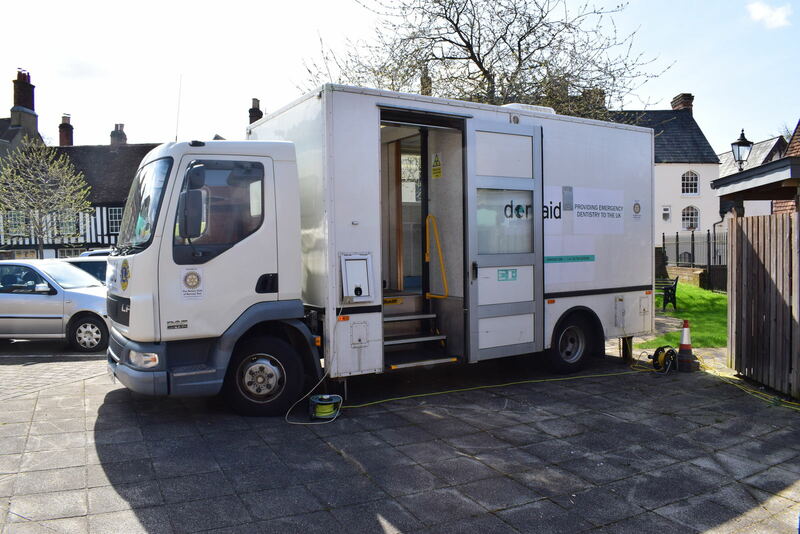 The mobile dental unit pays monthly visits to Trinity House in Winchester, Two Saints in Southampton and Alabare Place in Salisbury. 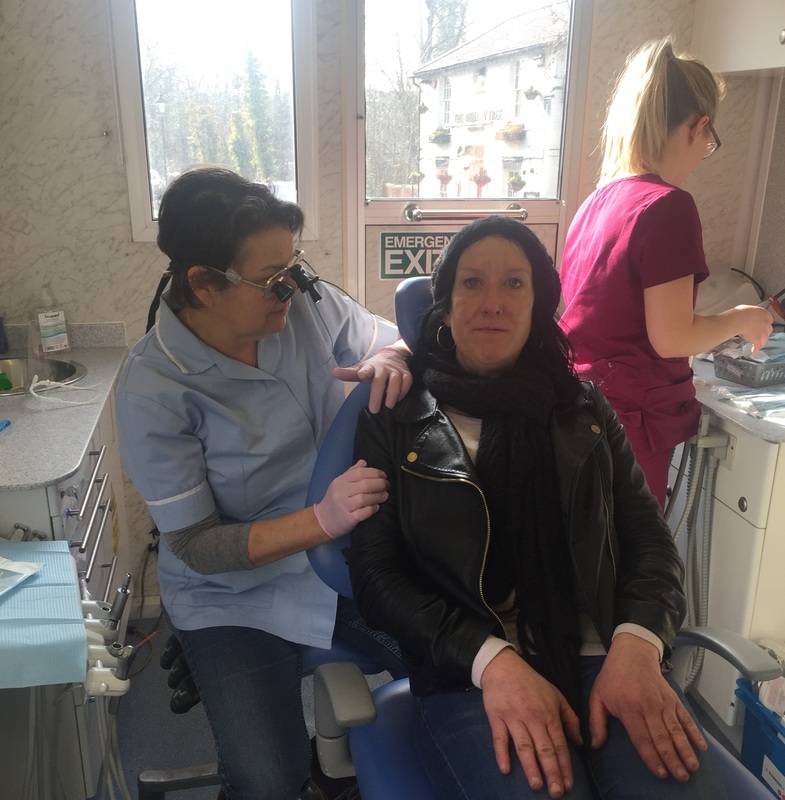 Some patients are regular visitors to the service and we see thier confidence and self esteem grow as they benefit from dental treatment. Thanks to our partnership with Dentech we are also able to offer dentures for some patients. The mobile dental unit regulalry visits The Crypt in Leeds where we provide dental treatment for homeless people in the city. We can help those suffering immediate dental pain while maintaining the long term aim of re-engaging them with NHS dental provision. The mobile clinic has also gone to Cornwall, York, Wolverhampton, Hatfield, Blackpool and Dewsbury to run outreach clinics for vulnerable people and we are getting requests for new services all the time. None of this would be possible without amazing team of volunteer dental professionals, drivers, sponsors and project partners. 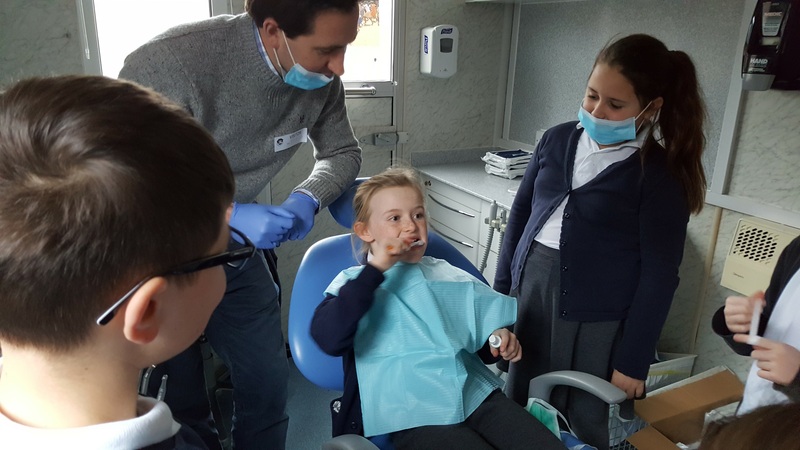 The mobile dental unit can also be used for oral health education visits to schools and groups of children with special needs who have the opportunity to become familiar with a dental surgery in a relaxed setting. It has also been used for fluoride varnish and screening programmes in schools and public access clinics in Yorkshire for people who have found it difficult to register for NHS dental treatment.